This is how they play video games in an alternative steampunk reality. The Ocelot is one of the most bizarre homemade consoles I’ve ever seen. It looks more like a piece of scientific equipment than something you’d play video games on. In all honesty there’s no reason for it to exist at all, but thanks to its determined builder, console modder Matthew Carr, it does. 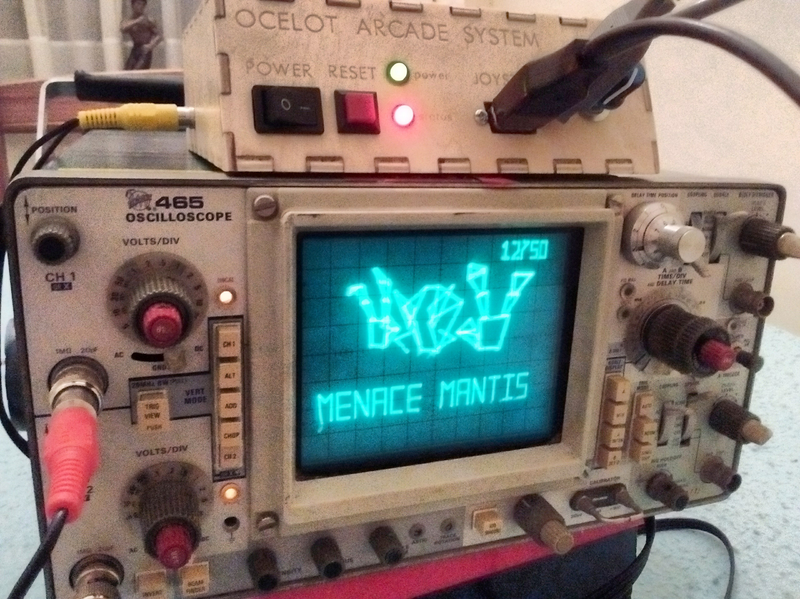 The Ocelot is a small device that can hook up to an oscilloscope and game controller to play specially programmed games. Currently there are two games that the Ocelot works with: Star Lynx, a scaled-down version of Star Fox where you pilot a spaceship and combat mechanical insects, and Mattsteroids, Carr’s recreation of Asteroids. 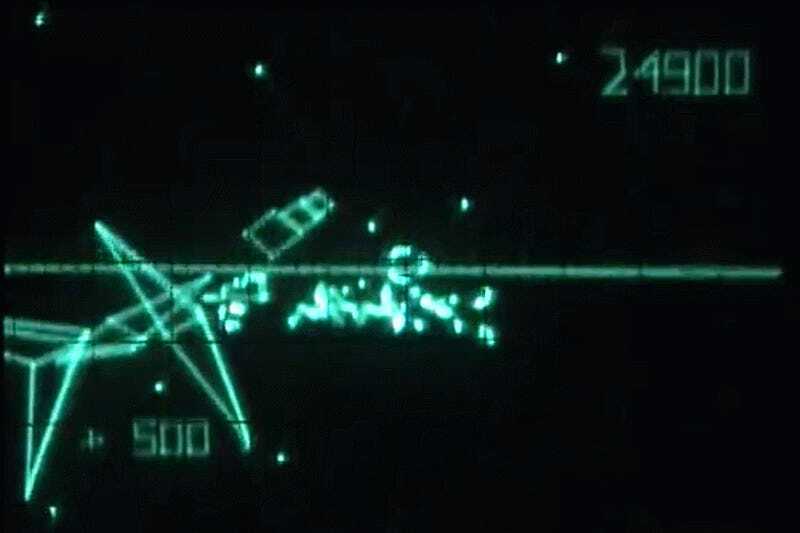 Both games look like old-fashioned radar screens haunted by retro ghosts but run surprisingly smooth due to the high refresh-rate of the vector graphics. How they work at all gets a bit more technical. Basically, a dsPIC33 microcontroller chip does the processing for the games and creates waveforms that are then rendered on a CRT display by the oscilloscope. Star Lynx is a short game made by Carr that basically turns Star Fox into Battlezone. Meanwhile, the sounds and music come from electrical currents passed through an amplifier, which are stored and played back as part of the Ocelot’s programing. In addition, Carr has made the Ocelot arcade machine compatible with a handful of old controllers. Instead of spinning knobs, the Ocelot also supports an Amiga joystick, Atari joystick, or Master System (read: the Sega Genesis’ older sibling) gamepad. The Ocelot has ports for some older game peripherals including the Master System gamepad. It’s an absurd creation that would be right at home in the Fallout universe: an ambitious but anachronistic mashup of old and older technologies that feels like playing classic games on a submarine. In the end it’s an interesting reminder that you can play games on just about any machine linked to a computer (like a graphing calculator) if you’re willing to work hard enough. There’s currently only one Ocelot in existence, although Carr has some handy guides for how you can go about making your own.